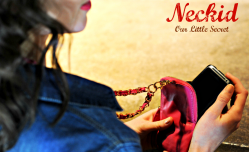 My company, Neckid, has designed a functional accessory to help young and professional women safeguard their valuables when they go out by taking the responsibility off their hands. As a frequent reader of your posts at Mashable, I know that you often cover new tech products and start ups. Smart phones and apps like Vivino help make life easier, but nothing can quite ruin your night (and bank account) like losing your phone and other valuables. Sure, it happens to the best of us, but it does not need to anymore. The traditional accessories (purses, handbags, etc) women use to carry their valuables in are the cause of this epidemic because they are physically detached from the user. Since they have to be held, they can easily be put down and misplaced. I believe that I have come up with a product that solves this problem. My product, known as a Joey, is designed to attach all of a girl's valuables to her body, including a cell phone, keys, credit cards, cash, and I.D. The Joey is a slim pouch with a clip at the top that can attach to any necklace of your choice! Worn around the neck, the Joey allows the user to have their hands free and alleviates them from having to worry about losing their valuables. Better yet, you can discreetly tuck the Joey beneath your attire and keep your valuables out of sight! The Joey is especially a must have for any lady that lives in the city or enjoys to travel. Thefts of cell phones are on the rise throughout the country and women need a better alternative to avoid dangerous situations. 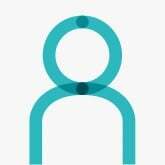 Since the Joey can be discreetly hidden beneath the user's attire, their valuables will be hidden from sight and they'll less likely be a target for theft. I plan on starting another project on kickstarter to help bring my product to the marketplace. (Here's my first project that didn't quite make it: http://www.kickstarter.com/projects/1644119639/neckid). I'd love to send you a sample so you can see first hand how much easier life is when you're Neckid! Also, I'd appreciate the opportunity to show you my new project on kickstarter once it is approved. Thanks for your time and hope to hear from you!